​ is the vision of one entrepreneur and his dream to turn something so simple into something so beautiful. 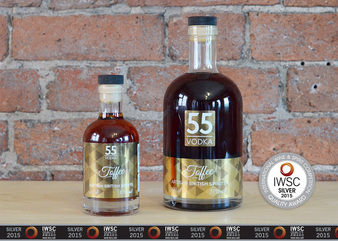 55 Above is a small, independent distiller established in 2014 with the vision of producing exceptional quality, handcrafted vodkas in small batches using traditional copper pot distilling methods. 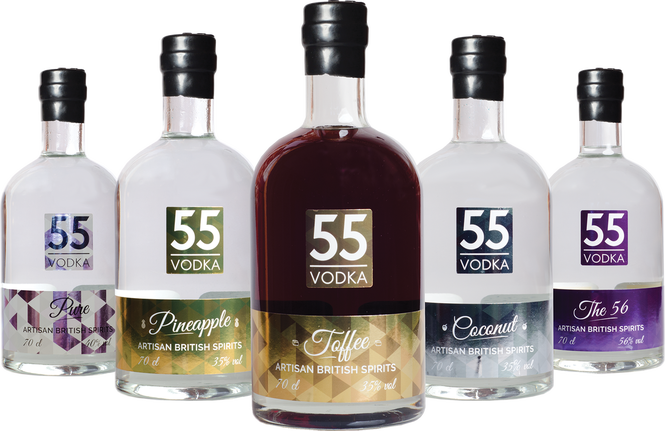 Our range includes 5 vodkas - The pure, The 56, Toffee, Pineapple and Coconut. When it came to our very first Gin, we knew that we had to produce something special. This Orange Gin is just that. 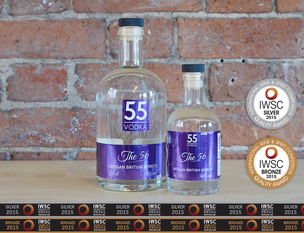 ​Distilled in the same traditional copper pots as our artisan vodkas, and with our usual, meticulous care; 55 Above orange gin is a truly zesty experience! 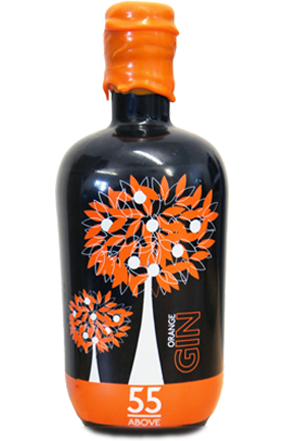 Mixing the natural juniper flavour of gin with a selection of lush botanicals – including tangerine, Seville orange and lemon zests, coriander, bay leaf, and macadamia nuts – this drink packs a charming citrusy hit.